As any Disneyland enthusiast knows, vacationing to the Happiest Place on Earth always involves striking a balance between reality and Disneyland. Each Disneyland vacationer looks for something different from their time at the Resort, so the right balance for you is a unique formula that only you can know. Fortunately, February at Disneyland offers a little something for everyone. Whether you are into exciting events, short wait times, or great deals, Disneyland has something for you in February if you know where to look for it. For those accustomed to peak-season Disneyland, the first months of the year can be an odd time to be at the parks. Throughout January and sometimes into early February, Disneyland closes rides to remove the holiday decor from inside. This is a well-scheduled endeavor and they stagger the closures to minimize overlapping ride closures. The redecorations never take long, but it’s worth keeping in mind. Additionally, because it is the less-trafficked season, Disneyland usually opts to do its refurbishments and scheduled maintenance during early spring. All this makes the overall experience at Disneyland safer and more enjoyable, but will undoubtedly disappoint some people looking for specific experiences. 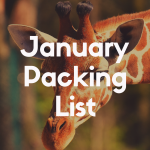 Going into your experience with a great plan and a bit of knowledge will help you find just as much magic in February as in July. February at Disneyland is filled with special events. This is largely because Disneyland celebrates two holidays that fall near each other: Chinese Lunar New Year and Valentine’s Day. Valentine’s Day falls on February 14th every year, while Lunar New Year fluctuates between late January and late February. If Lunar New Year falls near the beginning of the month, expect the first half of the month to be somewhat busier than the second half, due to people celebrating at the parks. Disneyland celebrates these holidays for some time both before and after the actual holiday, so check the monthly events schedule before you purchase your tickets to learn what events will coincide with your visit. Predicting traffic precisely is impossible even for Disney, so no light or heavy traffic day is guaranteed to be so. However, prior traffic data, meshed with day-to-day park activities, can illuminate patterns in visitors’ habits. In February, medium and high-traffic days generally coincide with major events and weekends. This will allow you to pick your experiences based on the priorities of you and your group. For more on how to choose the right days for you and your group, see the section below on Disneyland crowd levels. February in Southern California offers chilly mornings but crisp afternoons in the 60s and low 70s, perfect for those who melt in the region’s blazing hot summers. February is one of the rainier months, though, so be prepared to get wet from more than just Splash Mountain! If carrying a jacket and rain gear doesn’t appeal to you, Disneyland Resort offers locker rentals for around $10 to $15 per day. These lockers can be found in Disneyland on Main Street, U.S.A. and in California Adventure on Buena Vista Street. They also provide lockers on the Esplanade between the two parks, for visitors who would like their belongings to be available without entering the parks. February brings many enchanting events to both Disneyland and California Adventure. Disneyland celebrates Valentine’s Day with a “Valentine’s Month” dedicated to Disney’s most iconic couple: Mickey and Minnie Mouse. Meanwhile, California Adventure honors California’s significant Chinese-American presence with a Lunar New Year celebration that continues for most of the month. 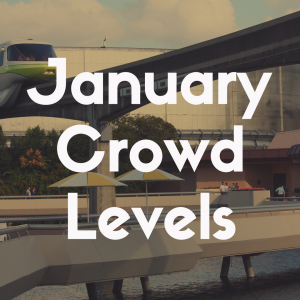 If you are a fan of Disney’s brand of enthusiastic and extravagant celebrations, consider vacationing in early-to-mid February to join in on the magic. Minnie’s Valentine’s Day Surprise Scavenger Hunt Experience. A new event in 2019, this event is perfect for the Disneyland fanatic who never needs a park map. Simply purchase a commemorative game board for under $10 and follow the clues to find Valentine’s Day cards around the park that Minnie left for Mickey. Find all the clues and you can redeem your board for a pack of Disney Valentine’s cards of your very own. 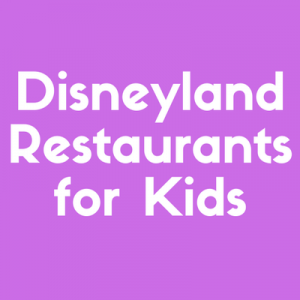 This event is ideal for Disneyland Annual Passport holders who are looking to spice up their next visit to the parks. For the scrapbookers, Instagrammers and Facebook album-makers, Disneyland crafts unique seasonal backdrops for all your photography needs. From a romantic floral arrangement at Disneyland’s entrance to California Adventure’s striking Lunar New Year decorations, photography-minded visitors should find ample opportunity to pose for pictures only possible in February. February 2018 featured a Disneyland After Dark event specifically geared toward couples called Sweethearts’ Nite. Disneyland After Dark events are special themed events that occur, unsurprisingly, after dark. These events require separate tickets at around $100 per person. The 2019 Sweethearts’ Nite included romantic dance parties, limited edition food and merchandise, as well as meet-and-greets with some of Disney’s most famous couples. Although this specific event has passed, Disneyland sometimes repeats similar themes for their Disneyland After Dark series. If a romantic night at Disneyland sounds like the perfect date, you can keep an eye on future Disneyland After Dark events on the Disneyland website. Mulan’s Lunar New Year Procession. Hosted in the Paradise Gardens Park at Disney’s California Adventure, this parade brings both familiar Disney faces and traditional Chinese New Year celebrations. The parade, of course, includes a Chinese dragon puppet, as well as dancers, warriors, and musicians. Mulan and Mushu also make an appearance in the parade, marking one of the few times the famous Chinese warrior makes an appearance throughout the year. As part of the ongoing Lunar New Year celebration, several small marketplaces pop up in California Adventure selling Asian food and signature drinks (of both the alcoholic and nonalcoholic variety). During the other months of the year, the parks have a saddening shortage of Asian food. While the marketplaces serve food more of the “Asian-inspired” variety, it still marks a delicious change of pace from the standard American fare throughout most of the parks. Many Disneyland websites offer crowd calendars in hopes of predicting how crowded the parks will be on specific days. This calendar, hosted by Undercover Tourist, is likely the most comprehensive of the calendars. It also includes other important information for Disneyland visitors such as attraction closings and weather forecast. If you have a must-ride attraction, always check for attraction closings before going. Nothing is more heartbreaking than eagerly approaching your favorite attraction and finding it closed. Last minute closures unfortunately can’t be helped at times, but scheduled maintenance and redecorating need not take you by surprise. Keeping event days, crowd calendars, and other information in mind will help you pick the right days for your group to visit the park. Annual Passholders and others who are familiar with the parks may want to choose the unique atmosphere of event days to experience Disneyland in a way that they can’t year round. If you are visiting the park for the first time (or the first time in a long time), the classic Disneyland experience of late February is likely more what you want from your trip. For the best mix of events and light traffic, visitors should look to weekdays in the beginning and middle of the month. Regardless of what time of month you visit the parks, aim to schedule your visit on mostly weekdays, steering clear of President’s Day weekend, including the Friday that precedes it. As throughout the year, Southern California Select Annual Passholders are blocked from using their passes on weekends, but almost all weekdays in February are open. The downside of visiting in February – as opposed to peak season – is the shortened park hours on many days. Many Disneyland visitors enjoy staying late in the park to ride heavily trafficked rides with minimal lines. During February, the closing time varies from 9 p.m. to midnight on some high traffic days. If those night hours are a priority for you, consider braving longer lines during the day by attending on a weekend when the park stays open later. Now that you have a sense of good days to go to Disneyland, you can work on whittling down the lines that remain. No matter when you visit, some wait times are inevitable. Fortunately, Disney has put in a ton of effort in recent years to make lines shorter and more bearable for everyone. FastPass is Disneyland’s standard (and free!) way to trim down the lines. Rides with long wait times, such as Splash Mountain, have a kiosk nearby that allows you to obtain a FastPass ticket. Each person can only hold 1 FastPass ticket at a time. This ticket allows you to enter the FastPass line on that ride, which bypasses the normal line. If you are visiting on a weekend, this can easily cut hours of waiting out of your day. MaxPass is the technological upgrade that ties into the same system. MaxPass costs about $15/day per person, but also includes Disney PhotoPass, which allows you to download any photos taken of you on attractions, character meet-and-greets, etc. Using MaxPass, you can make FastPass selections for attractions on the Disneyland app without needing to physically go to that attraction. For those that plan to hop between California Adventure and Disneyland during the day, this can be a valuable tool. That being said, if you plan to stay in one park on each day, MaxPass is much less valuable. The parks feel much larger than they actually are, so traversing them to grab a FastPass ticket won’t cut into your day much. Whether or not you use FastPass, the Disneyland app (free for both Android and iOS users) is likely the greatest lifeline you have in the parks. You can see wait times for any attraction in real time, allowing you to catch rides during moments of slow traffic. Some rides, such as Big Thunder Mountain Railroad, have wildly fluctuating wait times. Why wait for an hour to ride something when you could walk directly onto the ride an hour later? The app also allows you to order food at some restaurants and shows a detailed map so you don’t waste a second of your day lost in the parks. If you are a solo traveler or don’t mind your party being split up, single rider lines can save tons of time. Disneyland offers these on some heavily-trafficked attractions to fill in the gaps in cars. Even if your group opts for a single rider line, you will likely be placed with other members of your group. Finally, the looming question of every Disney vacation. 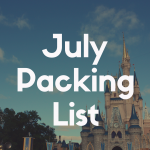 Disney vacations tend to be on the costlier side, but if you are trying to mitigate costs then the first few months of the year will give you the best value. The more days you spend at the parks, the cheaper each ticket becomes. By the time you get to 5 days, the tickets are almost half the price of the single-day tickets. If you need a mid-week Disney break, the tickets don’t need to be used on consecutive days. You have 13 days from the use of the first ticket, which can give long-term travelers a chance to visit Southern California’s other sites in-between their days at Disneyland. Prices for single-day tickets fluctuate depending on the expected traffic. Weekday tickets are the least expensive and weekend tickets are the most. Between the lower traffic and the less expensive tickets, weekdays really are the ideal time to visit the parks if you want to maximize the value of your visit. 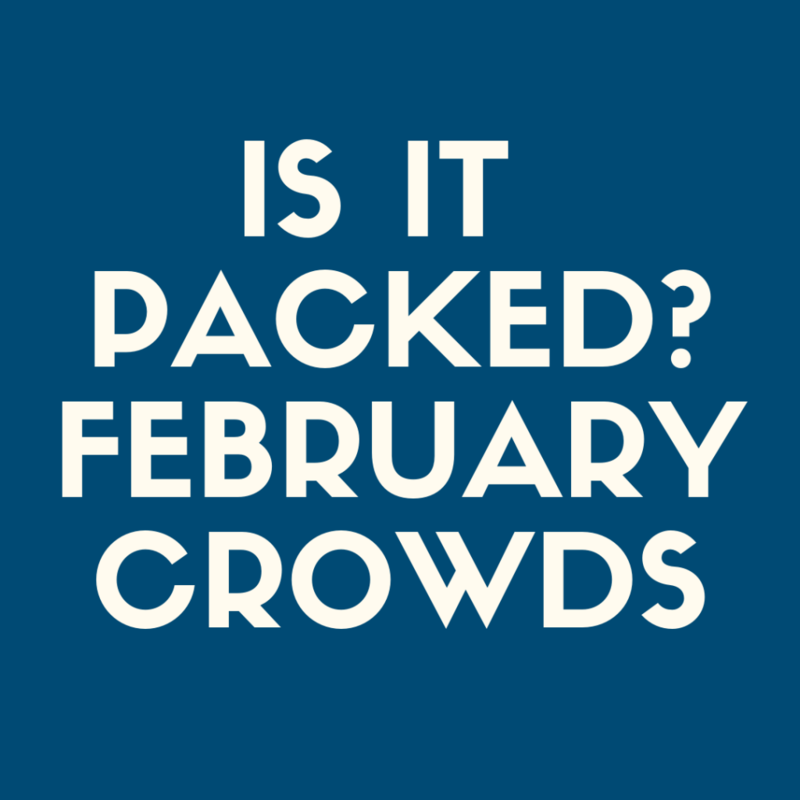 As for hotels, prices are also much cheaper in February than in the peak summer months. Staying at one of the three Disneyland Resort hotels can certainly enhance the Disneyland experience, but also costs more than other options. Of these three hotels, Paradise Pier is the least expensive – starting around $300/night in February. Grand Californian Hotel & Spa is the most expensive at around $500/night. Disneyland Hotel is the middle ground, at around $400/night. All feature distinctly Disney touches such as extravagant pools and character meals. 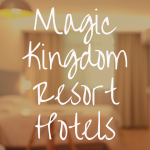 If going all-in on that famed “Disney magic” is your goal, the hotels are an excellent option. For those that simply need a place to crash between park days, Disneyland has connections to many Good Neighbor Hotels. These are hotels within a few miles of Disneyland that have a close relationship to the parks. Almost all Good Neighbor options provide transportation to and from the parks, occasionally for a small fee. These hotels have rates typical of their respective chains and some offer small discounts for annual pass holders. Conclusion: It Is Not Packed! All in all, February is the perfect time to schedule your dream Disneyland vacation. 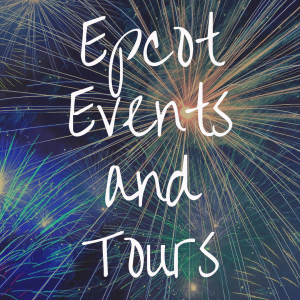 It offers some of the shortest wait times and least expensive price tags that you will find all year, allowing you and your group to find the magic in every moment.